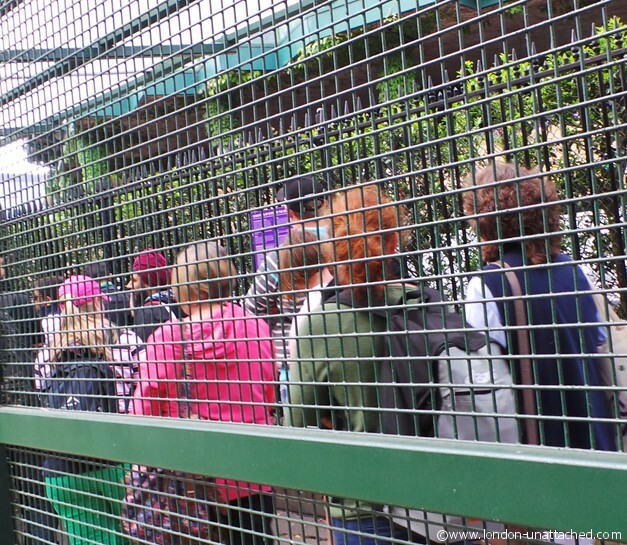 In which I avoid The Queue and get to Wimbledon with Ticketmaster! There are two excellent ways to get to Wimbledon without queuing which most people who live in the UK know all about. The first is to befriend a very wealthy tennis fan who has a debenture and is looking for someone to take along. The second is to be organised (and lucky) and apply for tickets through the ballots. There’s quite a complicated system and you’ll stand far more chance of getting a ticket if you belong to an LTA registered club or place to play, but anyone can apply for the public ballot which closes in December for the following year’s tennis. There’s one more way though – and it’s really easy, once you know how. Despite living within a stone’s throw of Wimbledon myself, until three days ago I didn’t realise you COULD buy last minute tickets for Wimbledon with Ticketmaster. I certainly wouldn’t have given myself a chance of getting a ticket that way. 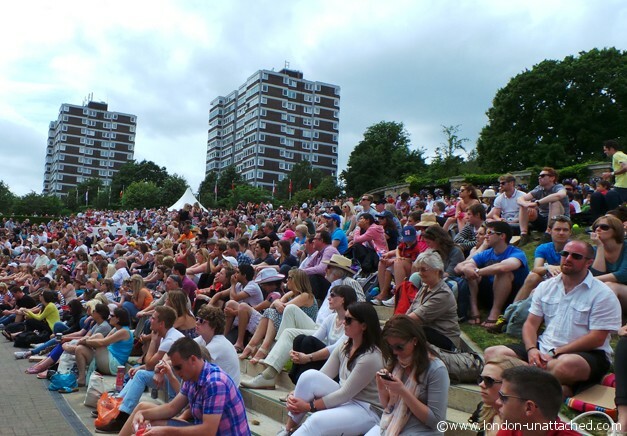 As it happens I HAVE been to Wimbledon on a number of occasions in the past. I’ve been taken there with work for corporate hospitality. And, I have a good friend who is much more organised than me and who applies for tickets each year. This year, though, she took her daughter as a post GCSE treat. Then, Lavazza contacted me and asked me to take part in the New Tradition blog challenge. I was thrilled. Until I realised that most of the challenge took part while I was in Croatia. So, I didn’t get a chance to blog and tweet much and I wasn’t one of the finalists…so I didn’t have a ticket. Undaunted I determined that I’d have a go at tackling the Wimbledon Queue. Now, for some reason, Monday, the day I had in my diary is by reputation the worst day to queue. And as it got closer I got increasingly worried about my chances of getting a ticket for Wimbledon that way, even if I got up VERY early. I googled. And discovered that tickets for Wimbledon ARE sold online, legitimately and without a ridiculous mark-up. You can buy Wimbledon tickets from Ticketmaster. They sell tickets for Centre Court, Court Number One and Court Number Three for the first week and then for Centre Court and Court Number Three only for the second week of Wimbledon. Two days in advance at mid-day they sell returns and the day before, an allocation of some 500 tickets come on sale at 9am. Needless to say, you need to be ready, waiting and very, very quick if you want to get tickets this way. But, on my second attempt at buying tickets for Wimbledon with Ticketmaster I did just that. Saved from the queue at Wimbledon, I turned up yesterday, the slightly disbelieving but proud owner of a ticket for the grounds and for number 3 court. My ticket was printed out for me at the gate and my ID security checked before I could go in. And, that was it! 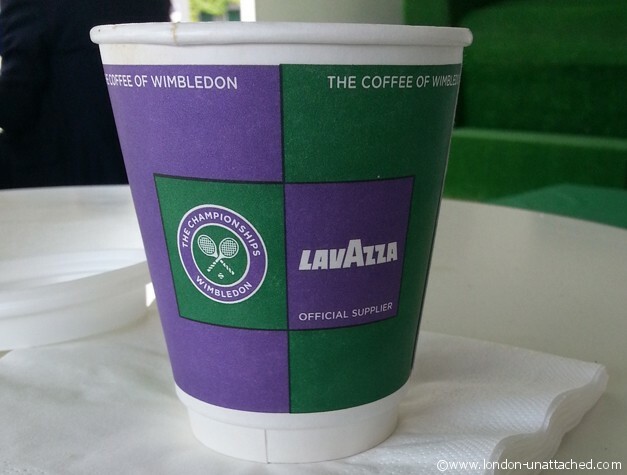 Heading straight for the nearest Lavazza cafe, I ordered and enjoyed my #newtradition coffee. Then off to Court Number Three. It’s an open court, but has good quality raked seating and the benefit, for me at least, of being quite small and intimate. From Row G I was quite close to the players and had a perfect view. And a new camera to try out. The Samsung Galaxy Camera was sent to me to review by John Lewis. It’s something I’ve had my eye on for a while because the Android interface is pretty much the same as my phone, and the WiFi means that where there IS a WiFi signal, I should be able to send Instagram pictures directly from the Camera. Even when there’s no WiFi, as I discovered, the camera is easy to use and to upload pictures quickly at a later time. There is a 3G model too, but you’ll need a SIM and broadband account to take advantage of that. It has some neat features too. There’s a burst mode setting which allows you to take up to twenty shots at 4 second intervals (rather nice for trying to snap those elusive serve shots). And, when you put the camera into ‘expert’ mode to adjust aperture and shutter speed. there’s a help pop-up which actually explains what each setting does. Obviously I’m still exploring how everything works but so far I am really impressed. 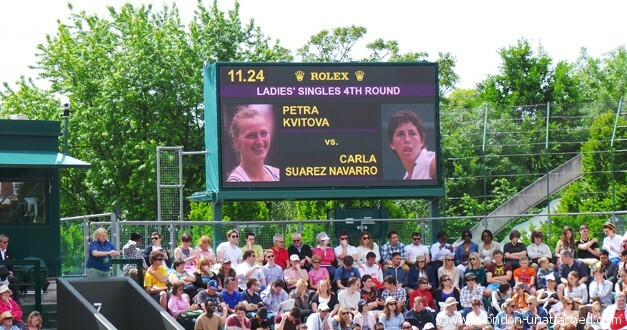 Back to the tennis, I really enjoyed the first match, where Petra Kvitova beat Carla Suarez Navarro to reach the quarter finals. Petra was the Ladies Champion in 2011 and at 6 foot, towered over her opponent. But, it wasn’t a walkover by any means. 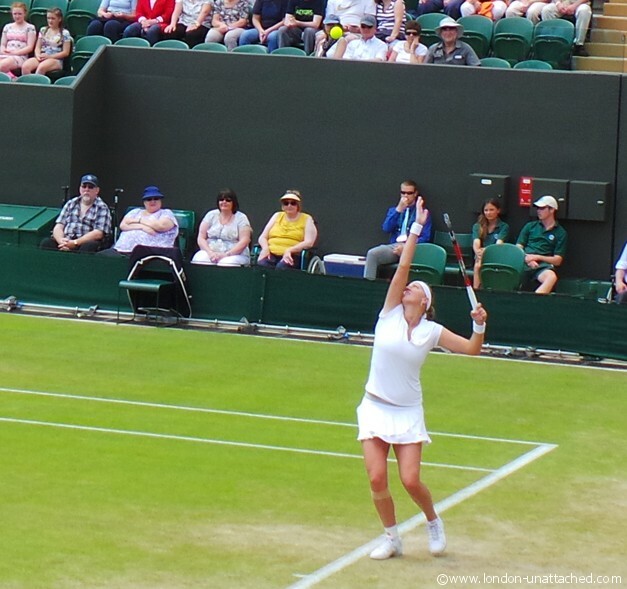 Some great rallies, Petra’s victory seemed to be much down to strength of service. Back to Court Number Three where Kenny de Schepper was playing Fernando Verdasco. 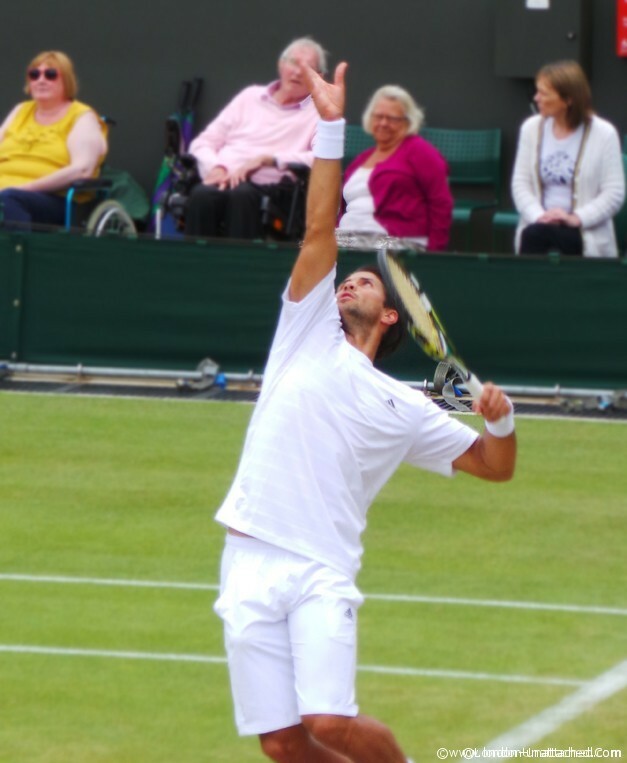 Another excellent match, I was mildly amused by the very enthusiastic lady to my right cheering on the admittedly cute Verdasco who ultimately won the match. I’ll be interested to see how he plays against Andy Murray in the next round. 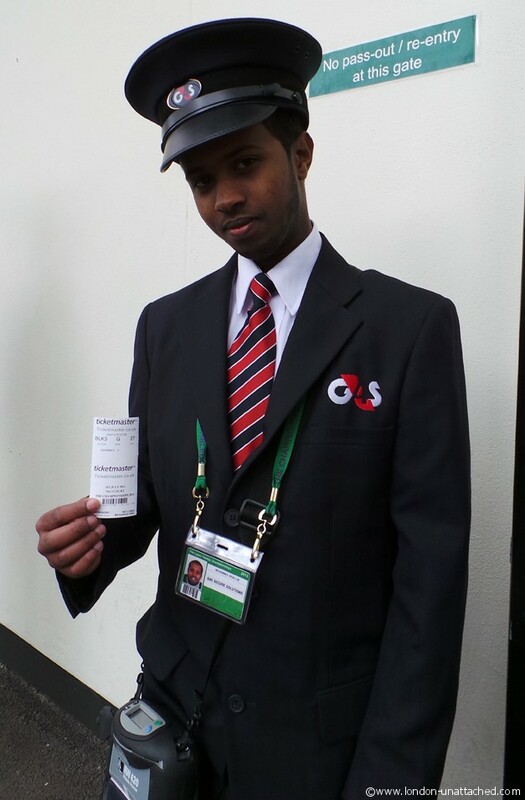 Then, I headed home, happy to have got myself to Wimbledon via the online ticket sales at Ticketmaster. Well worth a go if you are keen fan, just remember that the tickets are only issued at the gate and can’t be resold. With thanks to John Lewis for the chance to review the Samsung Galaxy camera. All the photos in this post were taken with the Samsung camera except the one that FEATURES the camera! Wow, looks like a ton of fun! You got some great action shots too! Thanks for sharing! 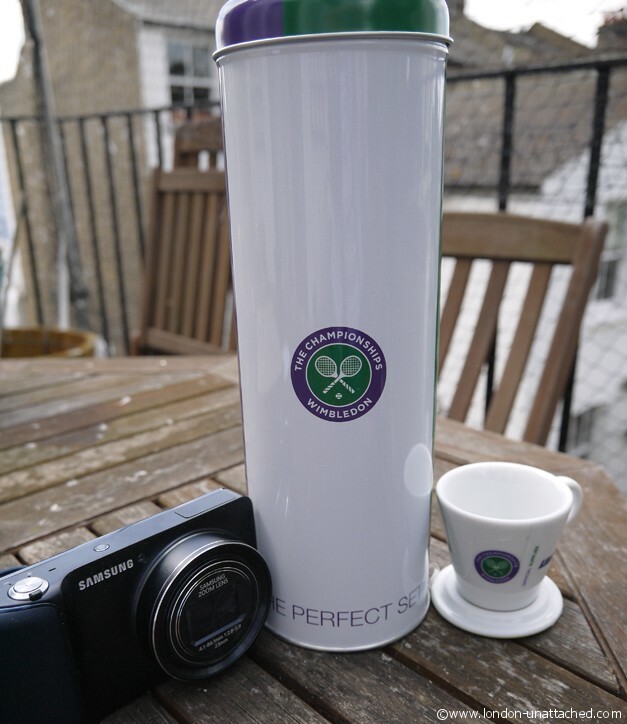 Love the photos and love Wimbledon! Sounds like you had a great adventure. love the photos. LOVE you ability to navigate the Ticketmaster situation. KILLER seats and GREAT camera. I can’t get Samsung US to show me anything more than photos. You are a smart tennis fan. I love the action shots you were able to catch. How fun. It’s a great camera for bloggers….good enough quality to put the pics up on your post – but small, light and easy to use for people like me!